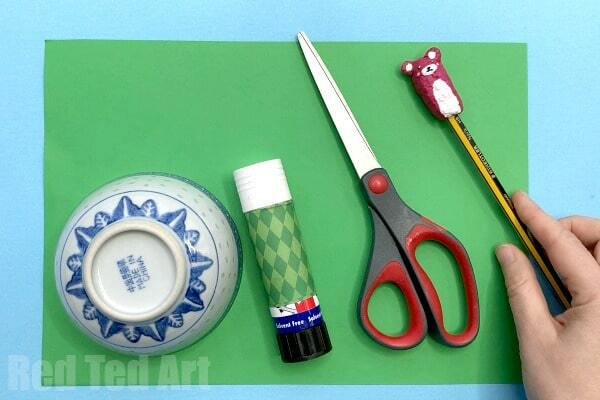 Time for a lovely Paper Craft. We adore Lucky Shamrocks for Saint Patrick’s Day. 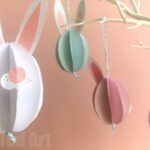 As you know, we also adore all sortes of easy paper decorations. 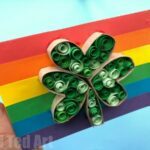 And when you bring the two together, we of course get some fabulously easy Paper Shamrock Decorations for St Patrick’s Day. 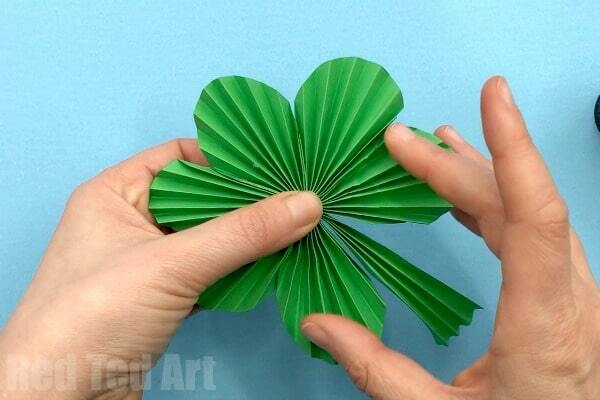 We based these shamrocks on the paper fan or paper accordion technique. It is easy and really effective. 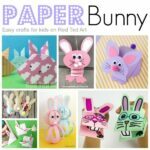 If you look closely, you may actually recognise another of our recent paper crafts – the Paper Heart Accordions we did a few weeks ago!! 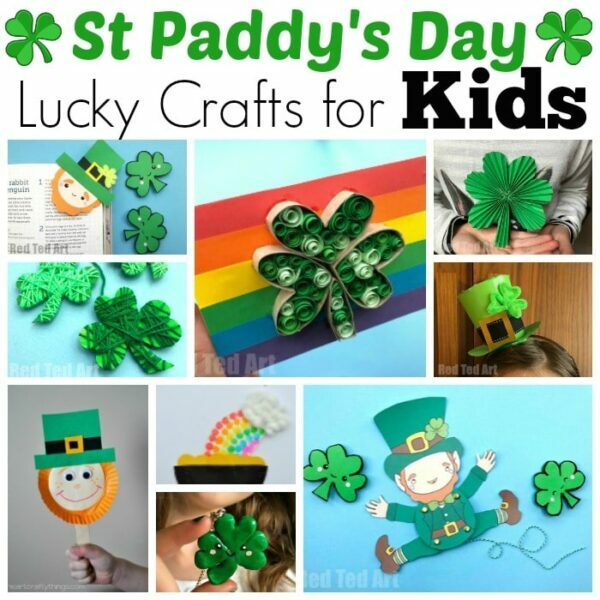 Yes, shamrock crafts are PERFECT for heart crafts too.. take your favourite heart craft, bring 3 them together and you have your basic shamrock!!! Don’t you think they are adorable? 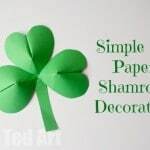 (On this note – I think you will like our simple 3D Paper Shamrock Decorations too!!). 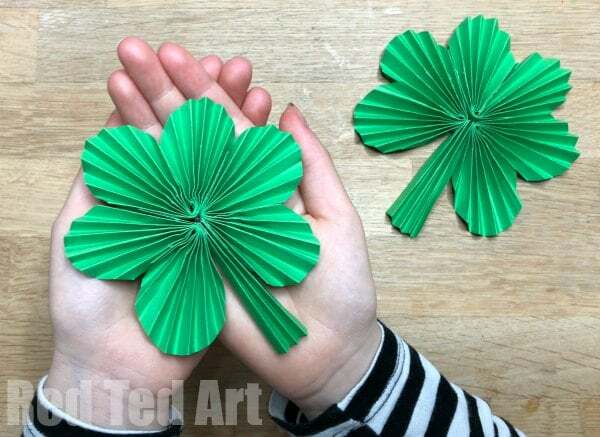 There are 2 ways you can “hang” these Paper Shamrock Decorations up – either ensure that you add a little thread to the CENTER Shamrock petal when glueing it together.. or you can hole punch a little hole in the top right corner and have it hanging at an angle. Alternatively, at some blue tack or masking tape to the back and stick straight to the wall or window! 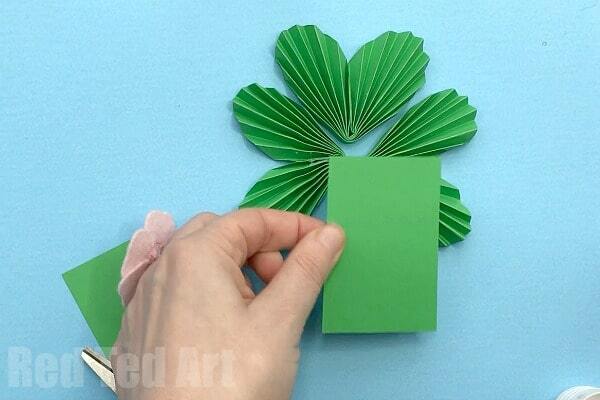 These easy paper shamrocks would also look great on the front of a St Paddy’s Day Greeting Card! 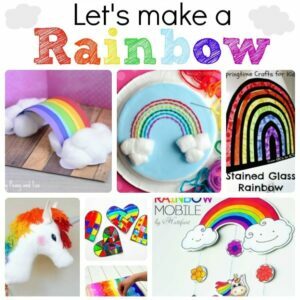 I have created both a video and step by step photo tutorial for you! Begin by tracing and cutting 3 circles. 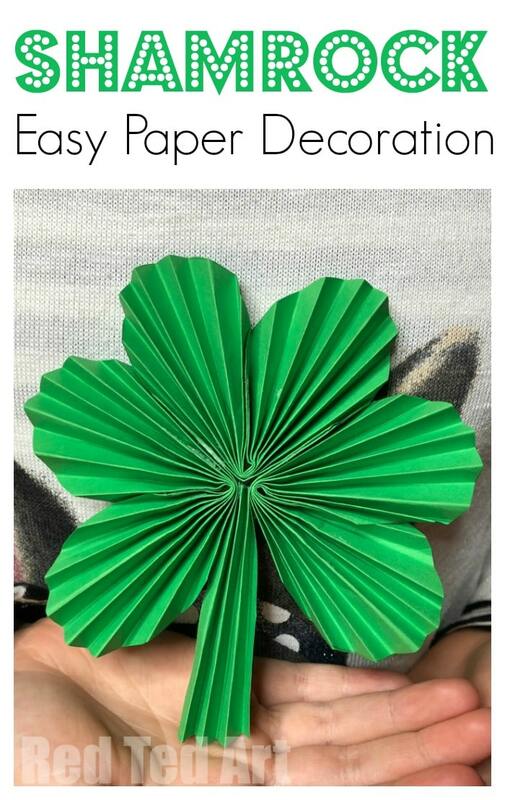 Our circle was a bit smaller than a CD… If you are using your paper fan shamrock on a greeting card, you may want to use something size of a tin can or cup. Keep your paper scraps, as you will need a piece for the stem later. Fold your circles into neat accordions – now we folded our circle in half first, then in half again.. in order to get some “guide lines” for neat folding. We had 16 folds in told – 8 on each side. It is not an exact science and if working with younger kids, you don’t have to be that accurate. I was just being a paper fan neat freak and wanted the perfect accordion folds. 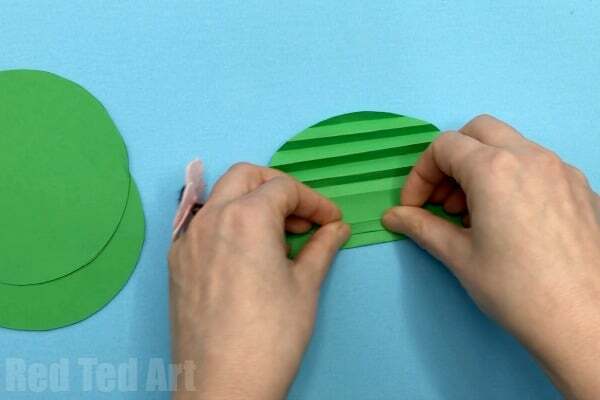 Fold your accordion paper strips in half. And glue half way up (not all the way). Repeat for all three “paper hearts”. 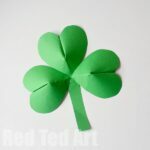 Remember to add a piece of thread to ONE of your three 3 shamrock leaves if you wish to hang it. Simply glue inbetween the fold. Once you have made your 3 green paper hearts, you need to make your stem. Cute rectangluar piece of paper (again, I just guessed!). Concertina it up. You can trim it later. Now glue your three paper hearts together. 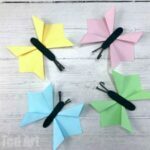 Gently pull appart and glue your paper fan stem between the “bottom two hearts”. This is a bit fiddly and if working with younger kids you may want to assist them. Alternatively, you can glue a “flat” piece of rectangular paper” to the back of the hearts (a bit like we did for our 3d Paper Shamrock here). This is quick and easier! 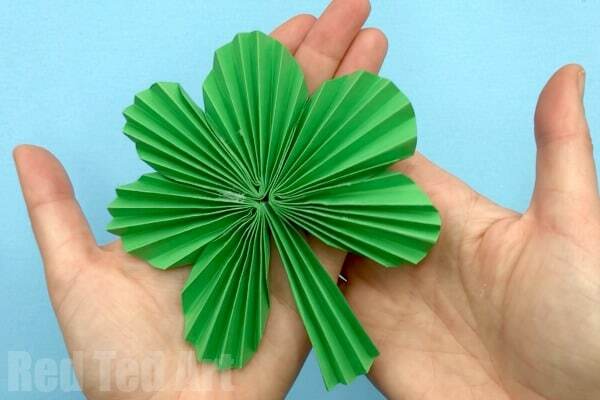 Your easy Paper Shamrock Decoration is finished!!! Well done. 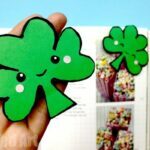 Cute and easy Shamrock Corner Bookmarks – we love that shamrocks are made up of “hearts”.. make it easy to turn a traditional Origami Bookmark corner into a shamrock! 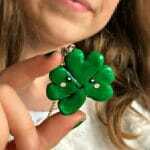 Make a good luck Shamrock Charm for your BFF! 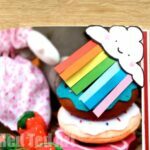 Use polymer clay to make these super duper cute and easy Kawaii Charms for St Patrick’s Day! 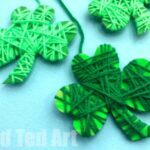 A wonderful Shamrock Craft for preschoolers – yarn wrapped Shamrocks – super easy and fun to make!